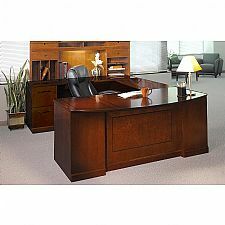 Sorrento Executive U-Shaped Bow front Desk Suite. 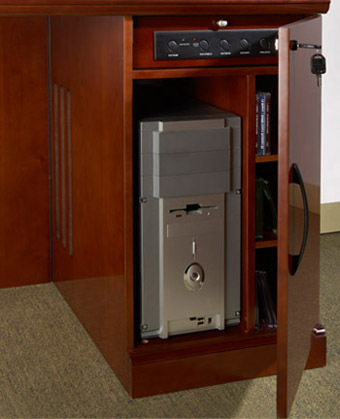 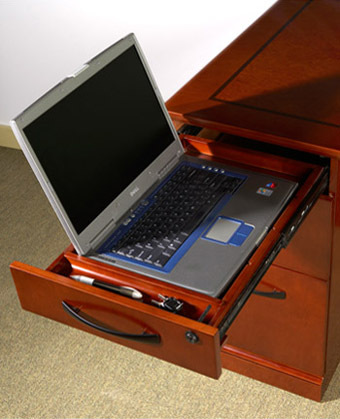 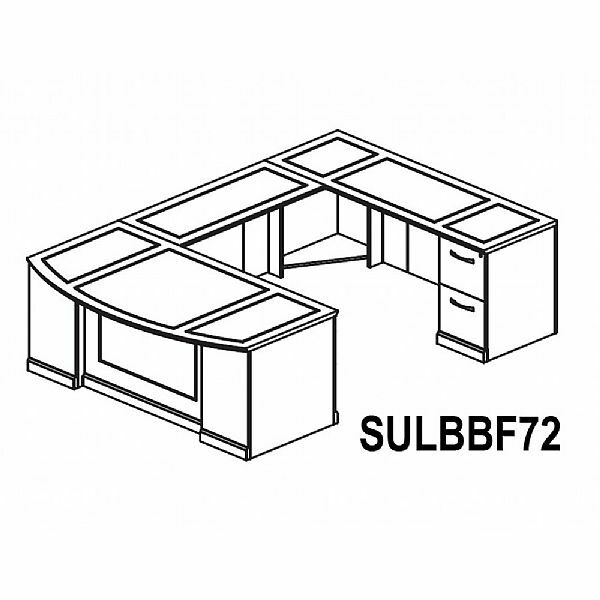 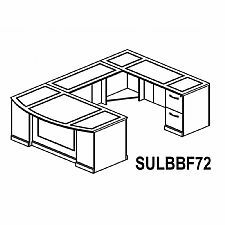 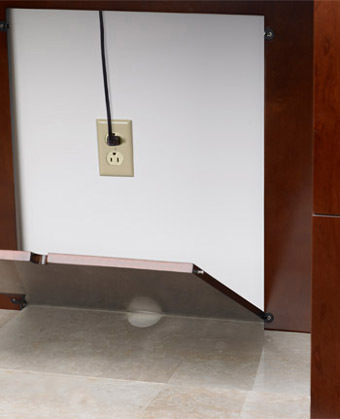 Consists of: 72" Bow Front Desk, Pencil/Box/File Drawer Pedestal, Left Bridge, Credenza with File/File Drawer Pedestal. 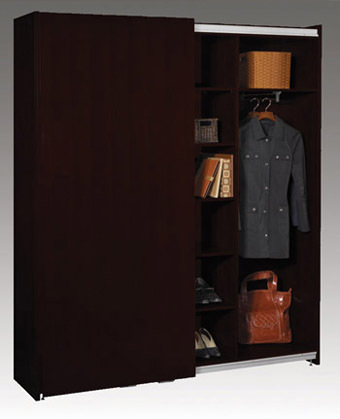 Choice of Espresso finish on Walnut veneer or Rich Bourbon Cherry finish featuring cherry veneer border and bird's eye maple inlays.